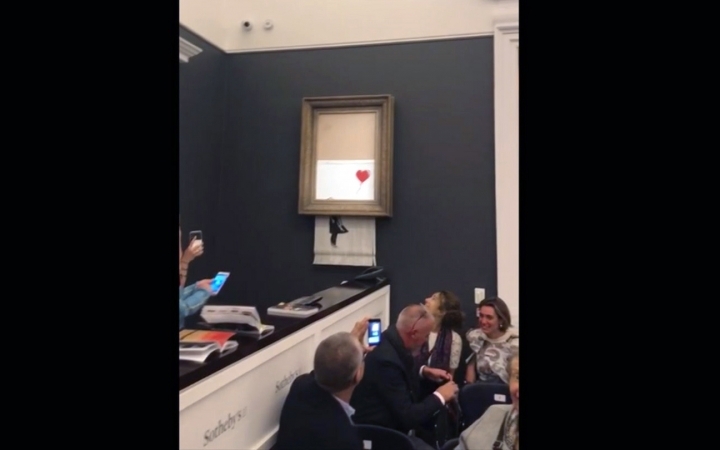 LONDON — The winning bidder for a Banksy painting that self-destructed during an auction last week has decided to go through with the purchase, auctioneer Sotheby's said Thursday. 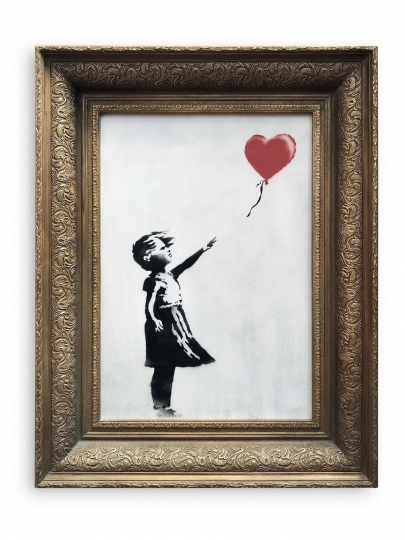 The auction house said a female European collector was the successful bidder, agreeing to pay 1.04 million pounds ($1.4 million) for "Girl With Balloon." But just after the hammer came down, and to the shock of those in the saleroom, the bottom half of the work passed through a shredder concealed in the frame. Sotheby's said the painting has now been retitled "Love is in the Bin" and authenticated by Banksy's Pest Control agency. Alex Branczik, head of contemporary art for Europe at Sotheby's, says it is "the first artwork in history to have been created live during an auction." The buyer's identity was not revealed but Sotheby's quoted her as saying: "When the hammer came down last week and the work was shredded, I was at first shocked, but gradually I began to realize that I would end up with my own piece of art history." Banksy, who has never disclosed his full identity, began his career spray-painting buildings in Bristol, England, and has become one of the world's best-known artists. His mischievous and often satirical images include two policemen kissing, armed riot police with yellow smiley faces and a chimpanzee with a sign bearing the words "Laugh now, but one day I'll be in charge." This story has been updated to correct the title of Sotheby's Branczik to head of contemporary art for Europe.